Connolly & Company specializes in high-quality, high-value writing on a wide variety of computer industry and high-tech subjects. We've been writing sales and marketing materials and managing communications projects for Fortune 100 companies since 1993. 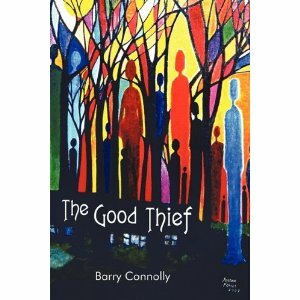 Author Barry Connolly's new novel, "The Good Thief," is now available online at Amazon. "The Good Thief" tells the story of Dismas and the events leading up to his crucifixion at the side of Jesus. Connolly & Company is a Limited Liability Company (LLC) registered with the State of Connecticut and listed by Dun & Bradstreet. We maintain full-time home offices in Bethel, CT (convenient to Westchester, NY) and in East Sandwich, MA (close to Boston and Providence). © 2010 Connolly & Company LLC. No content may be used without permission.